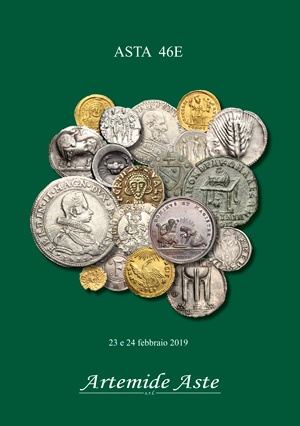 Coins 44 Greek Italy. Southern Apulia, Tarentum. AR Nomos, c. 272-240 BC. 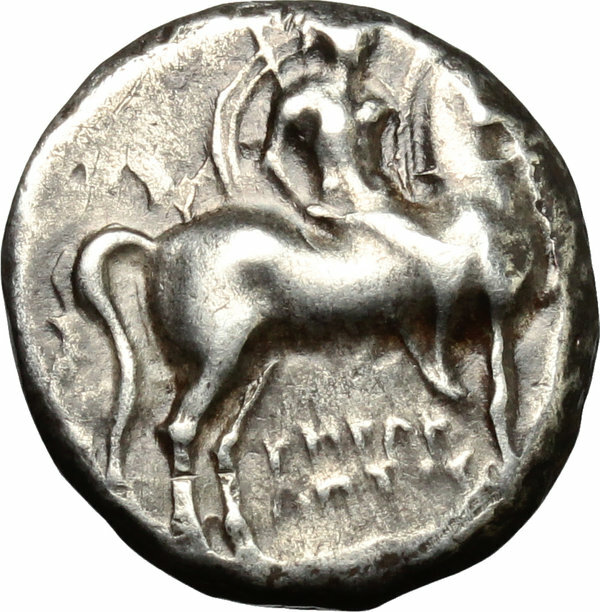 D/ Helmeted warriors on horseback right, holding lance and shield; below, I-HPAK/ΛETOΣ. 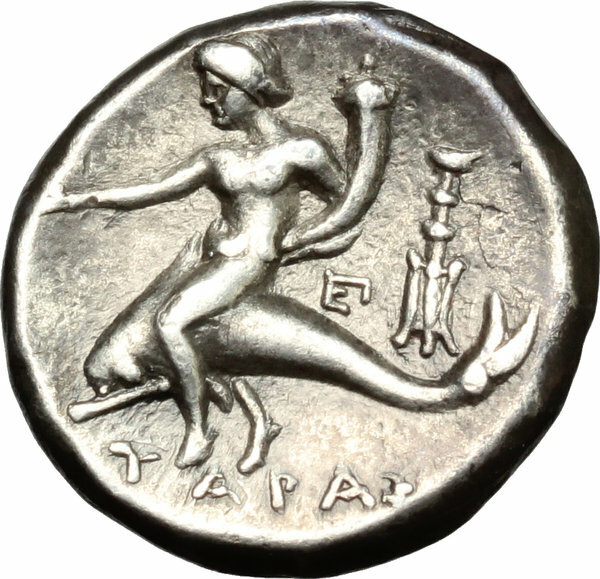 R/ Taras astride dolphin left, holding [flower] and cornucopiae; to right, monogram and thymiaterion; below, TAPAΣ. HN Italy 1037. Vlasto 890-2. AR. g. 6.24 mm. 19.00 Good metal. Brilliant and prettily toned. Good VF.